Hi Forklift Fans! Our floor team has been putting out some great deals recently. If you are interested, please remember that it’s best to come look at the items yourself! 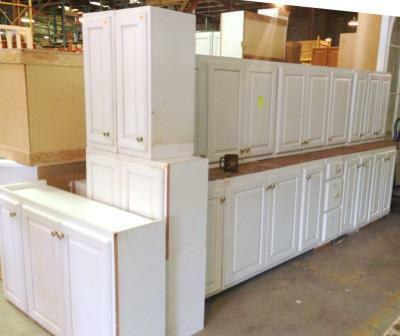 These kinds of materials go very quickly – so you can call us, but our Reuse Associates probably won’t know what we have left in stock (it’s kind of like calling Goodwill during a half-price sale to ask how many shirts they have!). We’re here today (Wednesday) till 7pm. 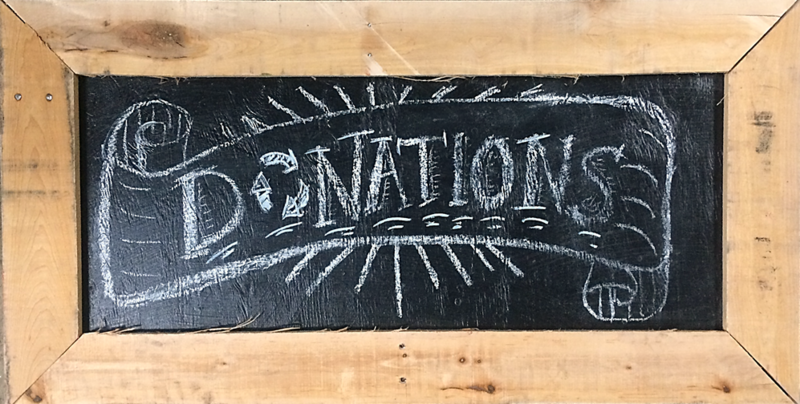 We’ll be open Thursday & Friday 10-6, and Saturday and Sunday 9-6. If you want to take the items with you, you must arrive at least 30 minutes before closing time so you have enough time to load. So you’ve got to come visit if you’re interested! However, we do offer a free storage service – after you purchase them, you have a week to find a truck, and to round up some friends to help you load. 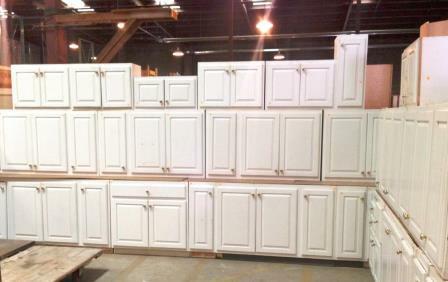 Over 40 white cabinets with brass knobs, sold for $5-$25 each. Buy as few or as many as you need. 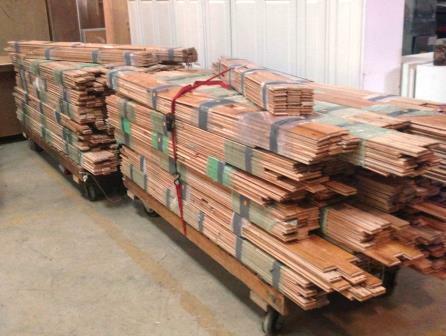 Our team just finished processing and bundling a big lot of reclaimed red oak flooring this afternoon. It’s got a beautiful grain, and is just $2 per square foot. It’s sold by the bundle, so you don’t have to buy the whole pallet, but we estimate that we have more than 1,000 square feet of it.